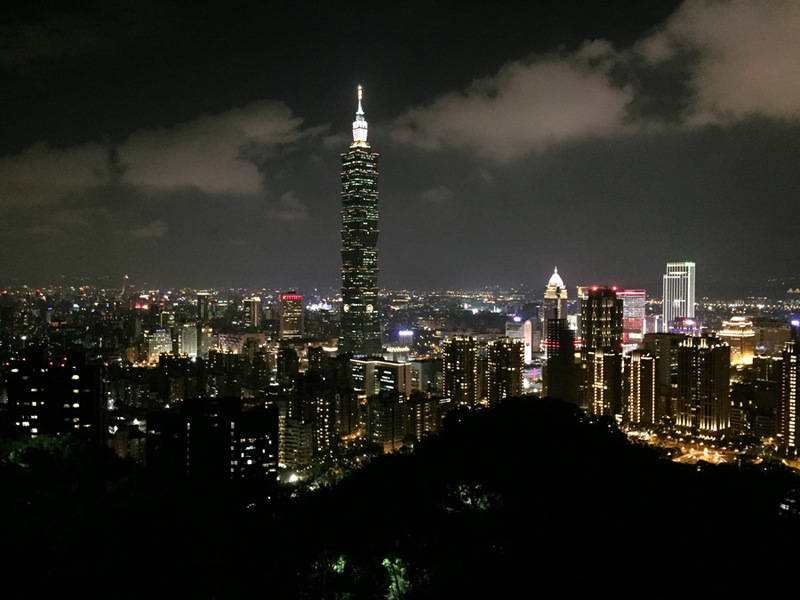 I am a kind of nerdy city girl living in Taipei. I like static activities, such as: drawing, playing games, reading comics and novels, listening music and singing. This is the big city I live in, Taipei. When I was a freshman, I walked through the booth of a board game club in the student club expo. 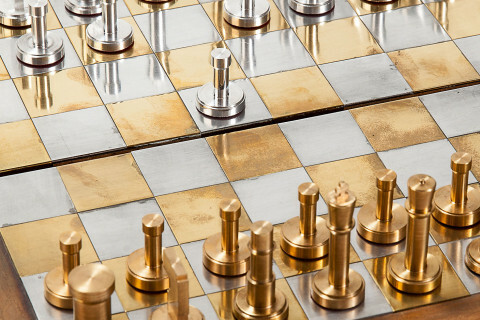 I was attracted by the colorful covers and components of board games. 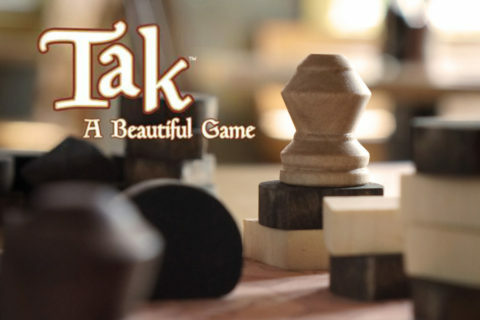 After the first try, I felt these games are very interesting, so I dived into the world of board games. 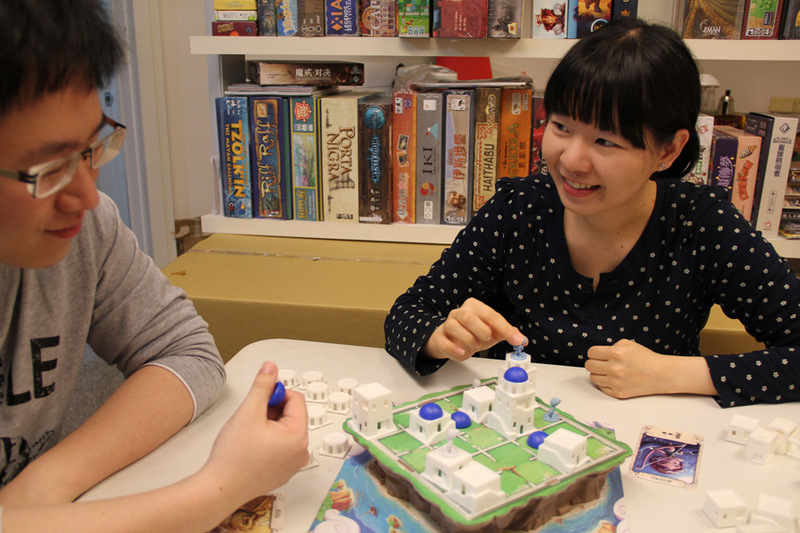 This was around 10 years ago, and board games were not popular in Taiwan at that time. It is always interesting to try some new games and see how they do their art. The beginning of my artwork for games was from the end of 2014. I met Wei-Min during a game night. 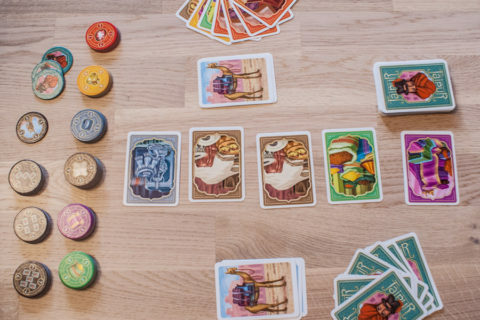 He is one of the founders of EmperorS4 Games. Wei-Min was interested in my artwork. 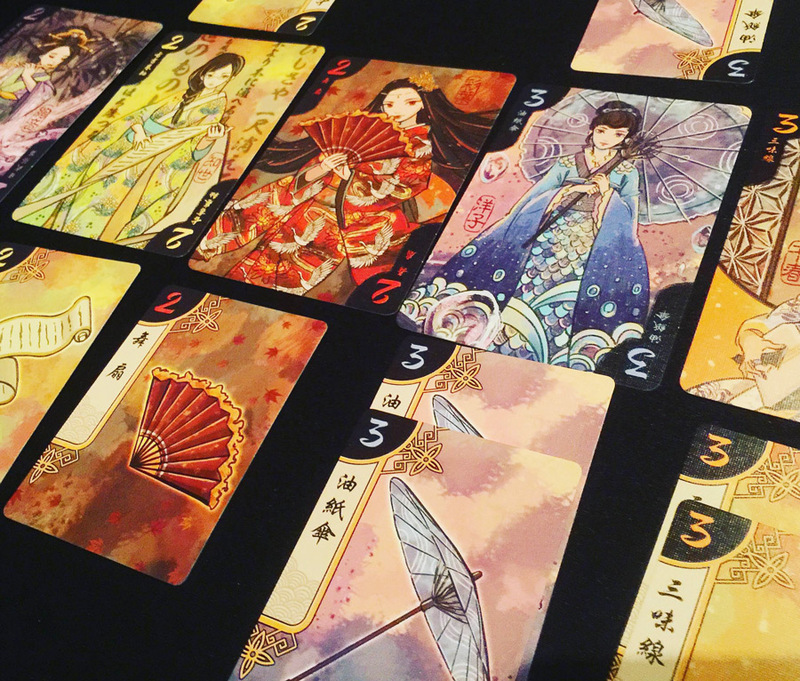 Then, he invited me to do some artwork for their board games (Hanamikoji is one of the games). I agreed, because that is an interesting part time job, isn’t it? I was very excited in the beginning, but soon I found out I was not familiar with the culture of Geisha at all. I didn’t even know how to wear a Kimono. I spent a lot of time collecting related information, including images, books, DVD’s, etc. Wei-Min supported me as I was collecting information. 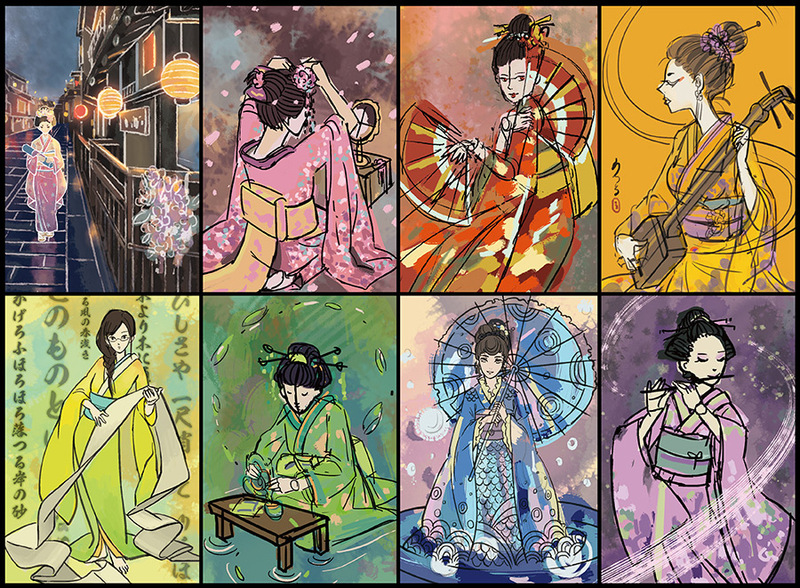 In addition, the most time consuming thing in this case was to decide the art style for Hanamikoji, while it was also the most interesting part. For choosing the art style, Wei-Min and I have lots of arguments since we have different opinions. After several iterations, we finally agreed on the current version which we thought to be the best. The upper left is the initial style I tried. It seems to be a little creepy, and the face looks a bit young. I also put in some imaginary things, like the jelly-umbrella creatures flying around. 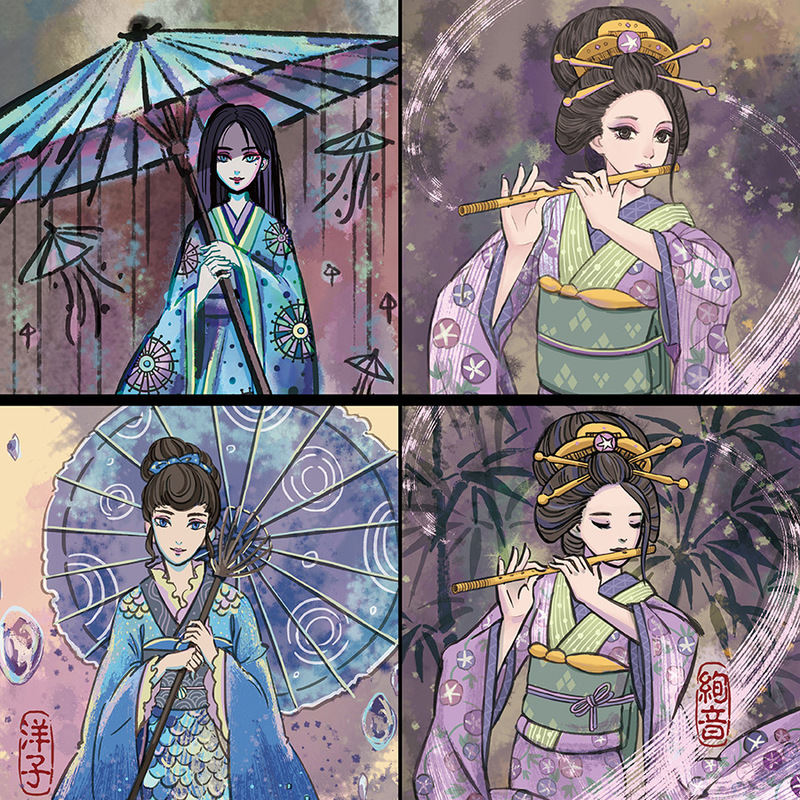 The upper right looks a little bit like the style being used in Japanese Manga for girls. I think the eyes might be too big. The images below are the final version. 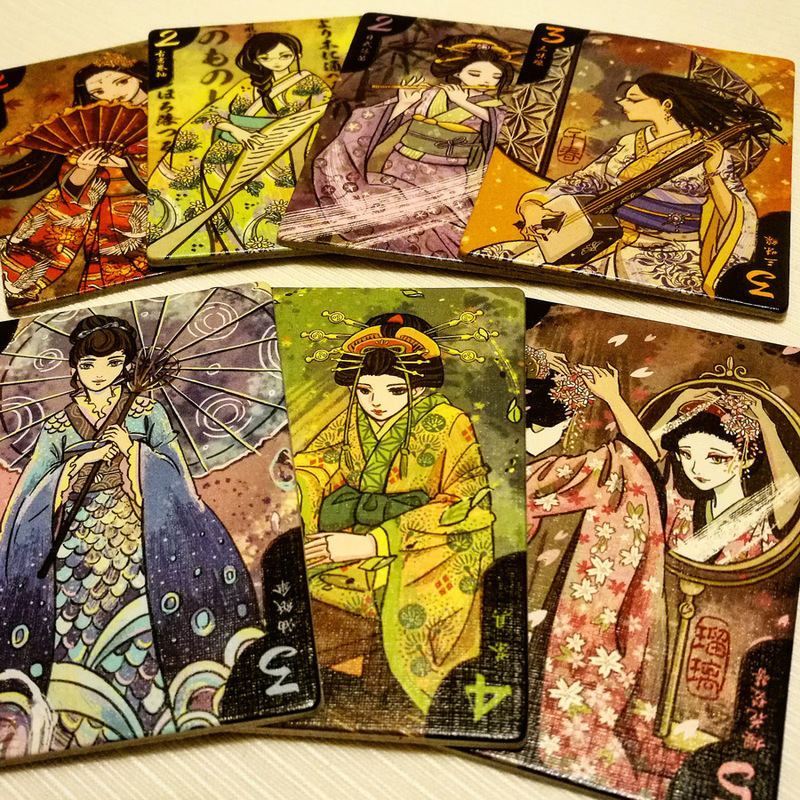 After finishing the artwork for Hanamikoji, I found out creating art (especially for board games!) is my real passion, certainly not creating boring tables and figures for newspapers. I was working at a newspaper publisher as a graphic designer at that time. 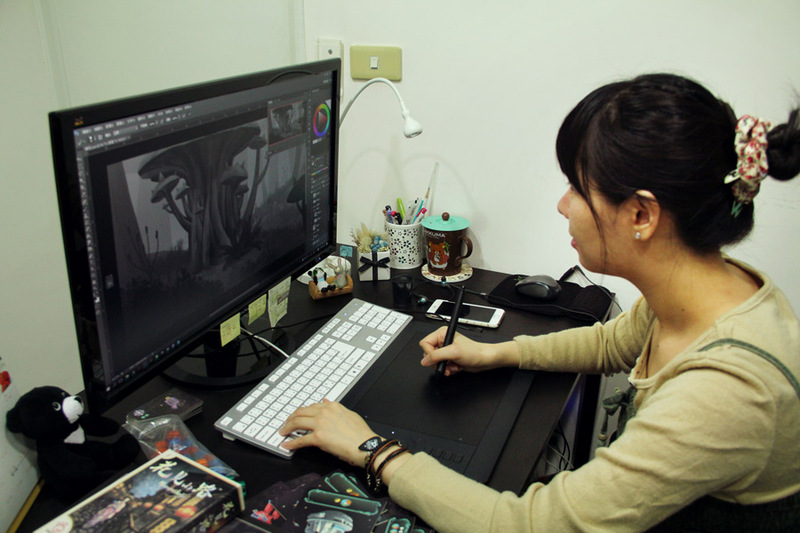 So I quitted my job without any hesitation, and then worked for EmperorS4 Games as a full-time artist. Recently, I have done the art for two games “Planet Defenders” and “Dark Castle.” It has been busy every day, especially during the days close to the release date. Although I have to sacrifice my time for playing board games, I still have a lot of fun doing game art. I hope my art can provide a good experience to the players in addition to the mechanism of the game. This is the equipment I use every day. 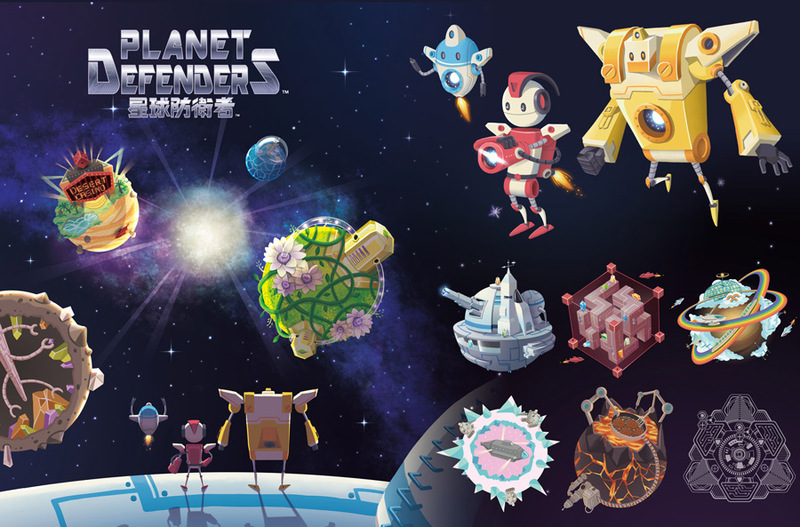 Some graphics for Planet Defenders. I like to try different art styles for projects, to give them unique personalities. I also want to know more about what Maisherly (myself) wants through this process. 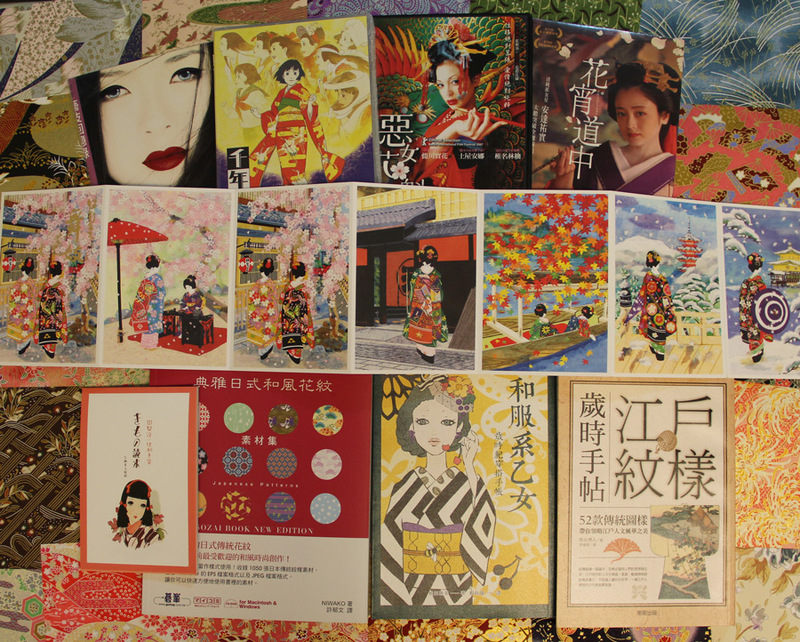 Collecting artwork books is one of my habits. My collection mainly focuses on American and Japanese cartoons, animations, and comics. When I’m working, I use to browse all related artwork books to figure out which style I want for the project. For now, I haven’t decided on a specific style. I am still trying and absorbing interesting stuff. Some examples are provided below. I used some abstract symbols, inspired by the Joan Miro exhibition in Taiwan, to create a series of art for my trip to Germany. 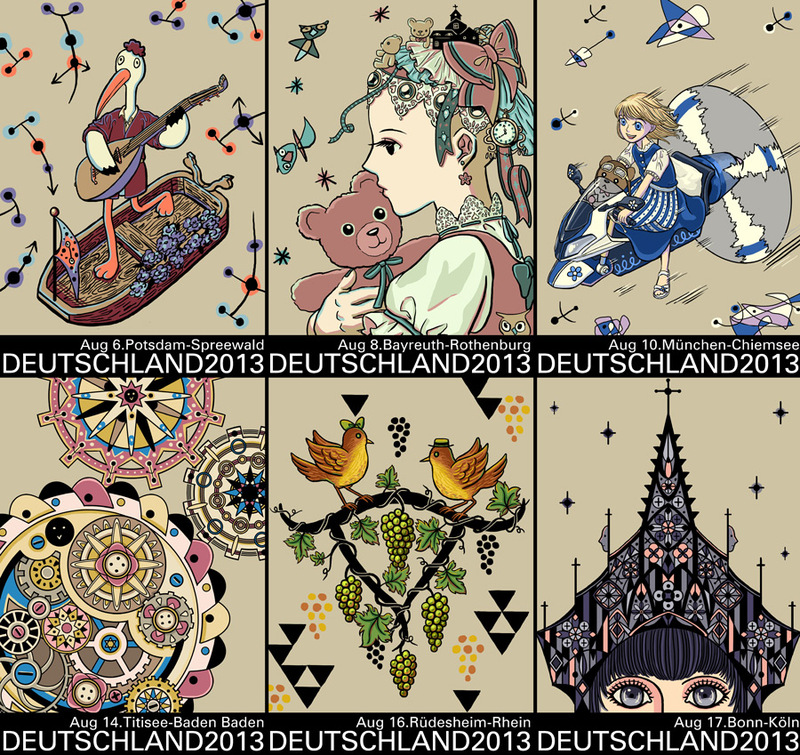 Art for my Germany trip. 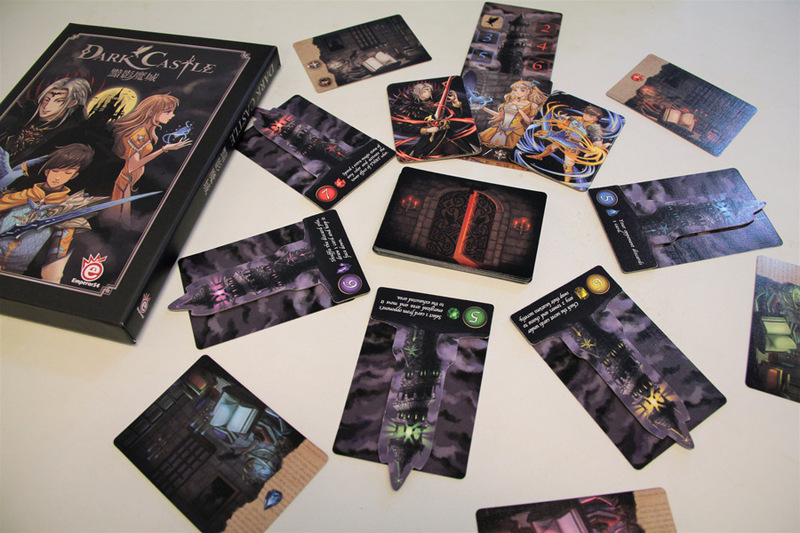 As a gamer, I use my art to express my enthusiasm, and also to remind me about the pleasant times playing games with friends, so a series of board game illustrations was born. 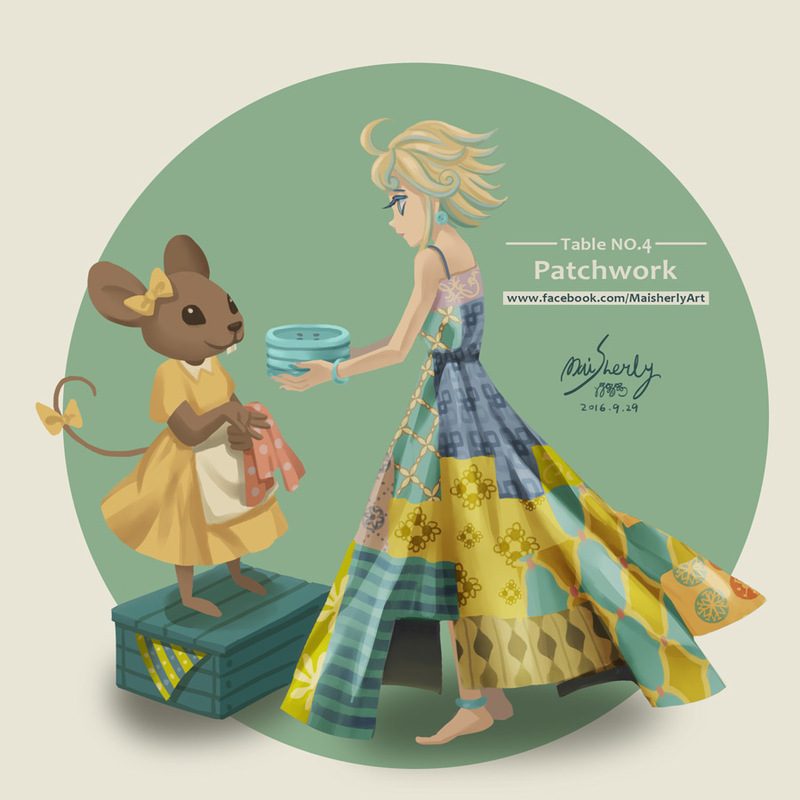 These artworks present some features of my favorite board games, and also add some fantasy parts, such as aliens playing Race For The Galaxy together, or a girl paying buttons to a mouse for making Patchwork as the mice in Disney’s Cinderella did. By the way, I feel the square shape of this series kind of represents the boxes of board games, although not every box is square. 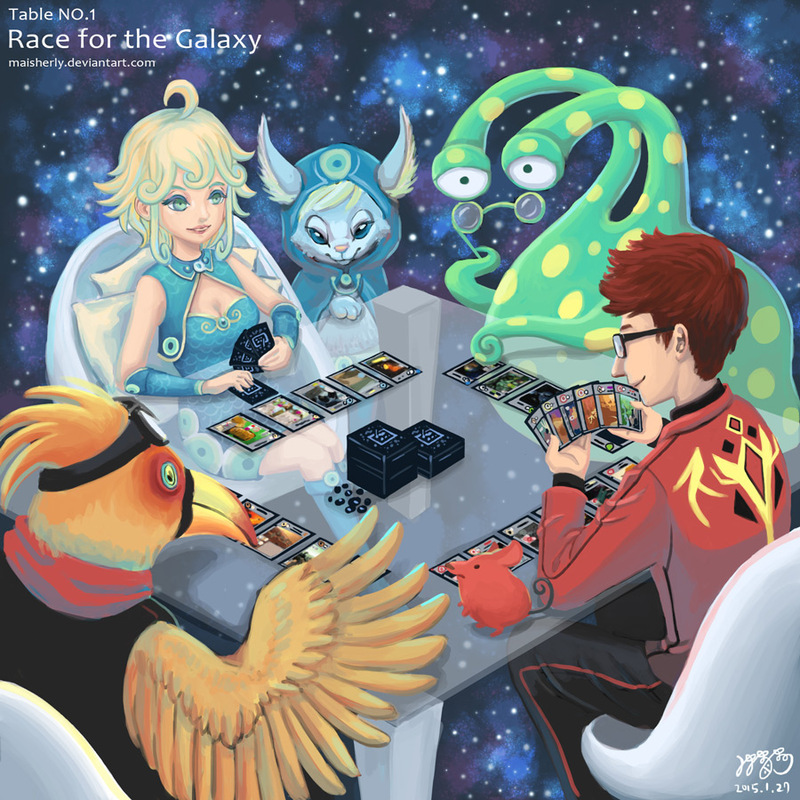 Fan art for Race for the Galaxy. I like board games because they are so entertaining. I also enjoyed the experience of burning my brain just for winning. Actually, belief it or not, I am good at some heavy games in my group, such as Terra Mystica or Agricola . Besides, it is easier for me, a nerdy girl who is shy and quiet, to get to know new people by playing games rather than talking with them. In fact, I met many of my close friends on the table. It is my pleasure to share my experience here. If you have any thoughts about my artwork, you are welcome to share those with me. Photo credits: Maisherly / @boardgamingworld / @zedeemia. Used with permission.